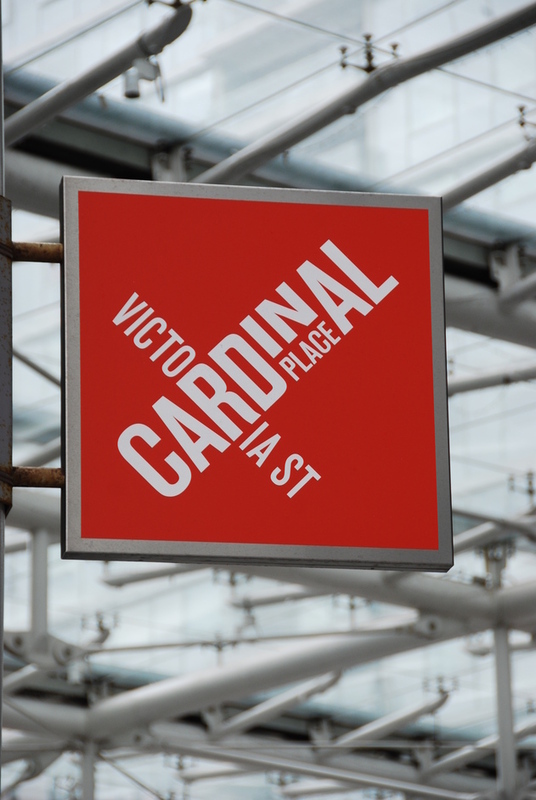 Cardinal Place is a snazzy modern shopping venue in Victoria. Housed under a curvaceous, new-age glass capsule it has become something of a visual icon in the area. It's the kind of place that has a pick of the best big brand clothes, shoes and accessories shops all within spitting distance of each other. Keen shoppers can pop from shop to shop with minimal effort and get to avoid the British elements too. The site itself actually consists of three buildings covering an enormous space of over million square feet. The £200 million development was built directly over the District and Circle line underground tunnels which amazingly actually pass through the basement. The buildings rest on rubber shock absorbers to avoid vibrations from the train upsetting shoppers and their retail therapy. Marks and Sparks, Zara, Topshop, L'Occitane and Hobbs are just some of the goodies found at Cardinal Place. There are also plenty of restaurants so weary shoppers can recharge - massive chains such as Zizzi, Wagamama, Nando's and Ha!Ha! have all opened a branch among the space-like modernity of this really super duper shopping mall. What are the best dining options near Cardinal Place Shopping Centre London? Cardinal Place Shopping Centre gyms, sporting activities, health & beauty and fitness. The best pubs near London Cardinal Place Shopping Centre. Cardinal Place Shopping Centre clubs, bars, cabaret nights, casinos and interesting nightlife. Where to have your meeting, conference, exhibition, private dining or training course near Cardinal Place Shopping Centre. From cheap budget accommodation to luxury 5 star hotels see our special offers for Cardinal Place Shopping Centre hotels, including 41 Hotel London from 82% off.